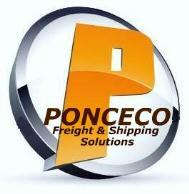 PONCECO Freight & Packing specializes in professional packing, custom crating and domestic/international shipping. Our services include: antique shipping, fine art shipping, electronics shipping, eBay shipping, estate moves, custom crate design, and in-home packing. Our unique service is designed to provide clients with a truly personalized experience, allowing them to decide which options they need, without having to pay for those they don’t. shipping, and professional packing services.